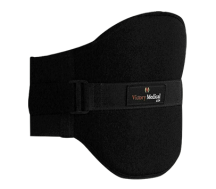 There is no other back brace on the market that has Victory Medical's Technology. The secret is Victory Medical's patented technology that promotes circumferential lift. Get back to the life you love! I am a sales rep.
percent of all working Americans admit to having back pain symptoms each year. percent of the population will experience a back problem at some time in their life. billion dollars is how much Americans spend each year on back pain treatment and prevention. The VForce Flex is a truly original back brace completely designed and created with the patient in mind. No other brace has the technologies or the ability to help the patient recovery. It is L0637 certified to meet the standards of Medicare/Medicaid, and private insurers. The VForce Razar is a treatment for low back pain.Rigid anterior and posterior panels stabilize the spine, restrict range of motion and control pelvic tilt and rotation. The anterior panel and the strapping method relieves the load and stress on the patient’s spine. 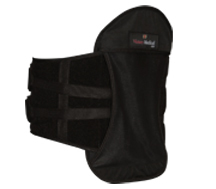 This brace features an innovative design with no hard sternal pads and a unique cut out to reduce spinal pressure. Our V-Foam Tech is proprietary fabric and padding, designed to breathe, keeping areas cool and comfortable for better patient compliance. 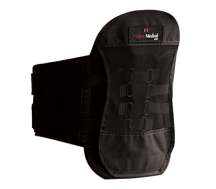 The V-Transformer is a custom-fitted back brace that has lumbar support that combines rigid anterior-posterior and media-lateral control with abdominal compression. 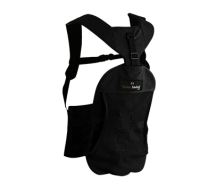 The strapping system allows for independent adjustment of the upper and lower sections.